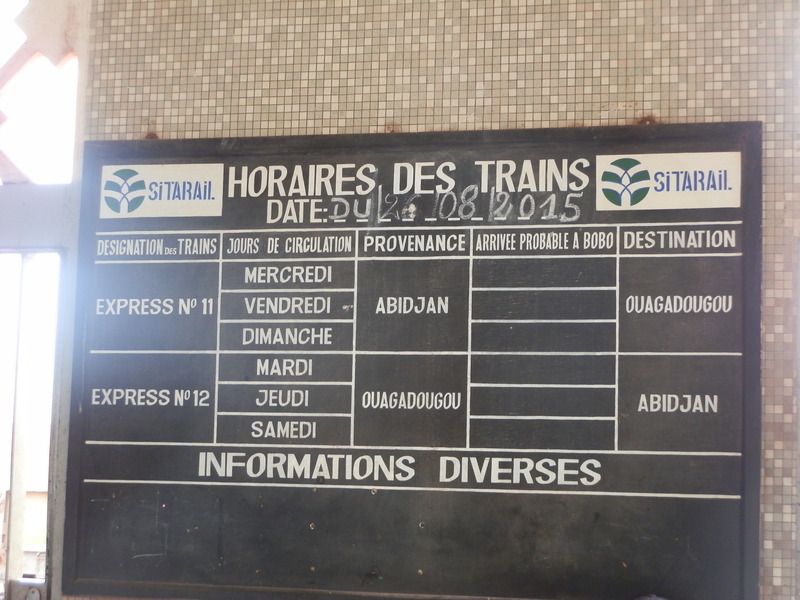 In early September 2015 I tried to use the Sitarail trains traveling from Burkina Faso to Cote d’Ivoire. While there are now 2-3 trains per week in each direction we finally opted for taking the bus as we did not want to travel during the night without any chance to see something. What was very surprising for us is that there is only limited official information on the departure times (we were not even allowed to take a picture of the semi-official schedule in the train stations). However, staff at the stations was always very helpful in informing us when the train would most likely arrive and depart based on their experience. We understood that while the railway line has been in operation for many years, it seems to be improving recently by becoming more reliable and apparently even attracting some tourism. Let’s hope that it will improve further and gets more frequent schedules so that we can take it the next time we are in the region. 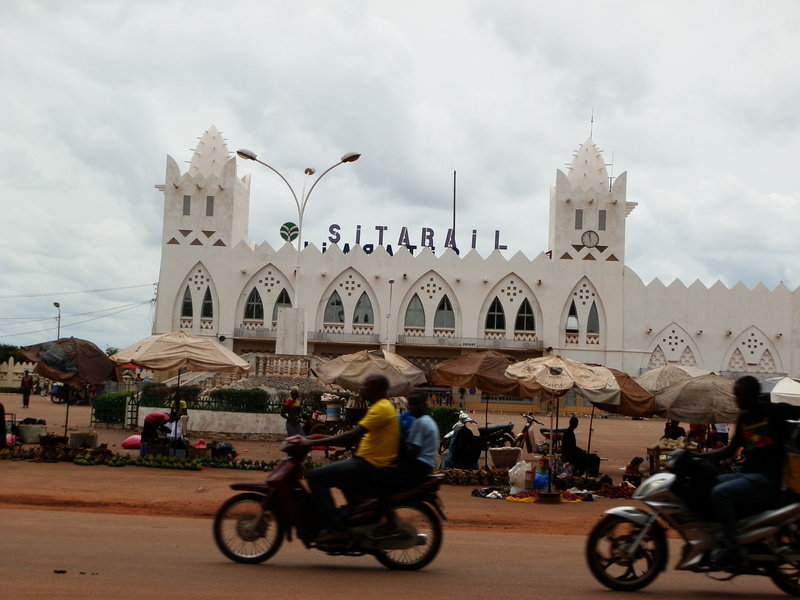 What is your experience with taking railways in Western/Central Africa?